Sylacauga, AL- Mrs. Nora Elizabeth Brown (Teague) died peacefully in Bay Minette, AL. on April 7th, 2018 at the age of 84. Nora is survived by her Son in law, Vaughn Bittlebrun, of Bay Minette, AL. Grandsons; Aaron (Tara) Bittlebrun, of Fort Benning, GA., Eric Bittlebrun, and Ryan (Willie) Bittlebrun both of Bay Minette, AL. Granddaughter Kristen (Heath) Smith of Daphne, AL. Along with 6 great grandchildren. She is preceded in death by her husband, James Charles Brown, Daughters; Mindy Bittlebrun and Melinda Brown. Nora was born on January 18, 1934 in Cleburne County, AL. to Jesse Lee Teague and Lillian Patterson Teague. 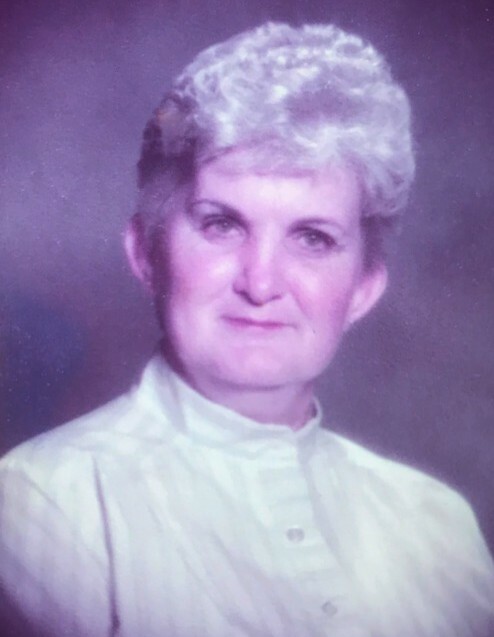 She married James Charles Brown on March 9, 1956, in Starkville, MS.
A memorial service is scheduled for Thursday, April, 12th, 2018, at 2:00 P.M. in the Radney-Smith Funeral Home Chapel, in Sylacauga, AL. with Bro. David Vick officiating. All are welcome to attend and celebrate Nora’s life. In lieu of flowers, please donate in her honor to St. Jude’s Children's Research Hospital.